As millennials now fill more employment roles in your business and given that they are projected to be 75% of the workforce by 2025, you have to face the fact that you’re dealing with a very different mindset. This generation does not view authority with the same deference as your more seasoned team, and managing them can be a challenge. Take note though; a growing number of your customers are also millennials. Listening to your employees’ viewpoints might help your businesses’ bottom line. You don’t have to relinquish control of your business to strike the right balance. The following 5-point plan provides ways that you can take some direction from the younger members of your team — and add value for a youthful customer base. You don’t always have all of the answers, but employees don’t always know what’s right, either. Still, take their ideas seriously and you’ll find that saying “yes” often makes sense. It’s easy to assume, for example, that employees fighting against a third cross-check of a project or product just want to lighten the work load. Or, are they just pragmatic? Before you say “no,” ask yourself if that third check ever reveals errors that justify spending the extra time. If you can get a high-quality product to the customer sooner without it, then maybe, happier employees create happy customers. 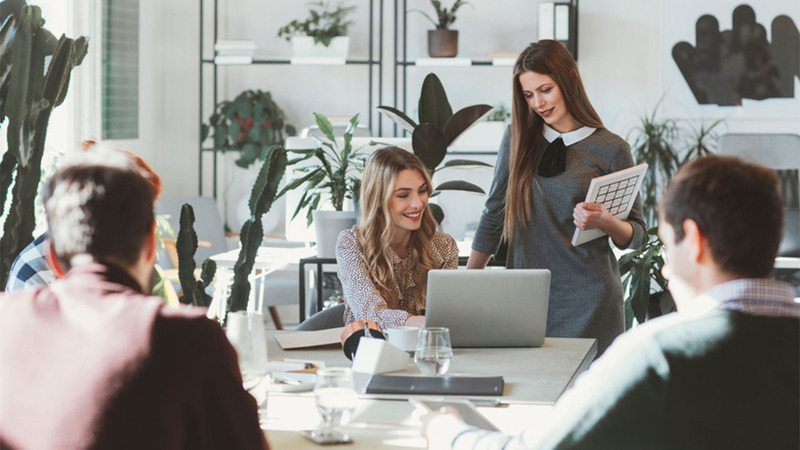 The millennial generation is an outspoken one, but even these employees may know enough to avoid overtly attacking your ideas and assignments. Body language speaks volumes, so watch for the eye rolls or pursed lips that may signal unspoken disagreement. Signs like these are golden opportunities for friendly debates. So, when you clearly see that an employee doesn’t want to make a bad-news call to a client, believes that a boring task is unnecessary or otherwise disagrees with you, dig deeper. If you can convert disagreement into good ideas, then everybody wins. To put it bluntly, millennials generally do not happily accept negative feedback. But, there are productive ways to correct errors without making it sound like an accusation. Open the issue up to discussion to create a collaborative experience that corrects employee performance without conflict. And, give them a chance to respond to your correction; you might glean pearls of millennial wisdom that convert perceived errors into better ways to do things. Your older employees just did what they were told, but this generation needs you to justify your requests. Sorry for the cliché, but when millennials resist your instructions, you need to turn lemons into lemonade. Sure, your new software developers only want to work on cool smart phone apps, but you need them to work on your bread-and-butter PC-based software right now. Rather than spending valuable time discovering all of the ways that millennials can defer and delay unattractive tasks, try making those tasks more enticing. “Because I said so” doesn’t work with this generation, but explaining underlying reasons or dangling carrots can be very effective. Maybe you can point out that the PC software changes are essential for a glitzy smart phone interface. Maybe you can challenge them to make the old-style software as cool as the smart phone app. And, let them work on the app — after the PC software is done. Millennial ideas can have merit, but they don’t always fit easily with your natural way of thinking or your specific level of expertise. Getting them personally involved with the planning and implementation of their suggestions can effectively bridge the gap. One common example: millennials love to introduce new technology wherever possible, and they know a lot about it. You may know little about a proposed technology option, but you recognize its potential value to your operations. There’s no better way to get millennials invested in the business than handing the ball over to them. Ask them to develop a plan. Have them do the required technology research, identify all training and support requirements, and produce a step-by-step implementation plan that allows for thorough testing without affecting current processes during the trial period. But by all means, supervise the entire process. Millennials can teach you a thing or two about technology, but they still have lots to learn about implementation from you. In with the new, but not out with the old. As millennials fill more positions within your business, you might want to take lessons from some valuable Japanese principles. Known as Shinto, the Japanese retain ancient beliefs while building current day practices on top of them. You don’t have to abandon your core beliefs just because millennials are taking more positions within your team. An inclusive company culture makes room for everyone’s ideas and concerns. Don’t discard effective old ways in favor of new ones. Rather, blend the two together to create a great work environment, better products and services — and the best of both worlds for customers from all generations. What Is the Right Management Style for You? Carol Roth is a radio host on WGN, a CNBC TV contributor, a ‘recovering’ investment banker & a bestselling author of The Entrepreneur Equation. You can find her on Twitter @CarolJSRoth or at www.CarolRoth.com. She also has an action figure made in her likeness.